This is our flagship. 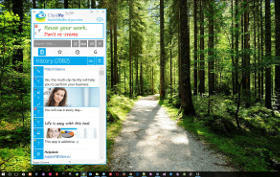 We love mobile devices but we also believe that nothing beats the desktop experience for the task-oriented computer activities. That is why Clipà.Vu for Desktop is and always will be our primary product. In the cloud sync word this desktop version acts as the main clips collector; all our other mobile apps are (not only but) rather a complimentary products that give you a fast access to clips collected by Clipà.Vu Desktop. We offer a free fully functional version. 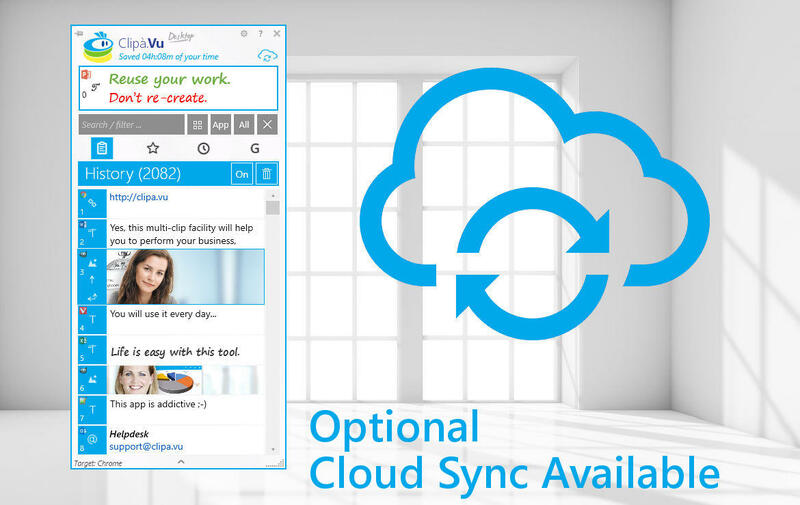 Even Cloud Sync feature is included in the free version – its only limitation is the capacity of the items stored. Probably you want to start with the free version and in case you find find it useful you can unlock its full capacity by purchasing the paid version. Even the full unlimited version you can get FOR FREE! Check� this page. Once you paid you can install the desktop version on up to 5 machines – as long it is YOU who uses the program. This version is YOURS and always will be. Not only you get the version you bought but also all the versions released within the calendar year after the date you purchased. If you install a version that was released 1 year after your purchase you will be asked to pay an upgrade fee. Paid update costs . Of course you do not need to update and you can keep the version you bought or any version that was released within the year of your free update period. If you lost the original installer you can download it in our Download Archive below. If you update you will not only get the latest version but again the right to install all the features developed withing the next 365 days. Is your app running in the FREE (limited) mode? Considering an update to a recently released version? First of all: Check the latest features! Is the update Free or Paid? That depends on the date you originally purchased the app. The updates are free for the first 365 days. Scroll up to understand the licensing model. The steps below are performed automatically by the app. You need a manual check only if you use a very old app version (~2014 or earlier). Figure out the date when you free updates period expires: Clipà.Vu for Windows Desktop app > Settings > Licensing > Show licensing dialog. Scroll down to find out the release date of the version you would like to update to. Keep using your current version. Is your app “suddenly” running in the FREE (limited) mode? You noticed the red FREE ribbon and only 10 history clips being displayed? That is because you installed a version that was released AFTER your free-updates period expired. The version you originally bought you can use lifetime long. And as described in the diagram above you get for free all the versions published within 365 days after your purchase date. This time, however, you installed a version published more than a year after your purchase and therefore it operates in the limited mode only. How to get back the full unlimited functionality? Check the latest features – the features we developed while you were using the older version. Download your older version below. You should pick the version released no later than 365 days after your purchase.